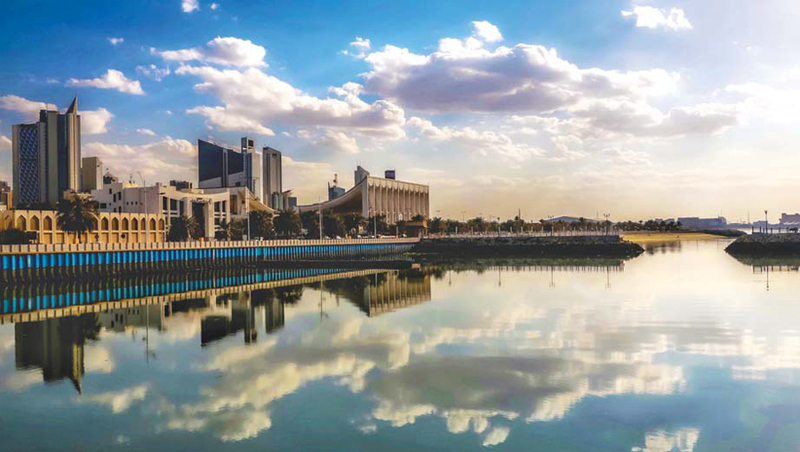 KUWAIT: The National Assembly is scheduled to discuss three grillings today in a marathon session that is likely to end tomorrow morning, Assembly Speaker Marzouq Al-Ghanem said yesterday. He said the grillings will all be debated one after the other, starting with the grilling against the oil minister, followed by the one against the prime minister and finally the grilling against the minister of social affairs and labor. Ghanem said that the session will continue until the last grilling is finished and expected it to last until late Tuesday or the early hours of Wednesday, which might lead to the cancellation of the regular session. MPs Omar Al-Tabtabaei and Abdulwahab Al-Babtain had filed to grill Oil Minister Bakheet Al-Rasheedi on charges of mismanagement and failure to control the oil sector’s top executives, whom they accused of corruption. The two lawmakers vowed to expose the minister and top oil executives over charges of squandering public funds and delays in mega projects, causing losses to public funds. MP Hamdan Al-Azemi had surprisingly filed to grill HH the Prime Minister Sheikh Jaber Al-Mubarak Al-Sabah over a variety of allegations, including the rise in corruption levels in the country. He accused the premier of being responsible for the massive slide in Kuwait’s position in the International Corruption Perception index by more than 50 places from 35 in 2003 to 85 last year. He said part of the causes for corruption in the country is the delay in mega projects and the increase in their costs due to variation orders. He said that the cost of the two key roads linking Kuwait City and Jahra increased from KD 275 million to around KD 560 million. The lawmaker also said the prime minister was responsible for not implementing laws issued by the Assembly and accepted by the government, listing more than 10 legislations that the government has failed to take the necessary measures to implement them. The grilling also accuses the prime minister of being responsible for revoking the citizenship of a number of Kuwaiti opposition figures who opposed government policies. It also accuses the prime minister of being responsible for the government’s failure to present any solution for the plight of 120,000 stateless people, known locally as bedoons. MP Saleh Ashour had filed to grill Minister of Social Affairs and Labour Hind Al-Sabeeh, her second in a few months, over allegations she misused the law to dissolve non-governmental organizations and cooperative societies, failing to enforce necessary policies to restructure the demographic composition and also failing to apply development plans to bolster the country’s economy. Ashour said the minister has dissolved 28 NGOs and cooperative societies, some of which have been reinstated by the courts, which means that the minister misused her powers. He accused her of curbing public freedoms to form NGOs by dissolving them without a valid legal reason. The grilling also charged that the minister has failed to devise reasonable policies to amend the country’s demographic structure, which is dominated by expatriates. It charged that the minister has failed to confront visa traders who have tarnished the image of the country abroad, adding that a research study by the Assembly showed that as high as 73 percent of expatriate workers are impacted negatively by visa traders. The filing of the three grillings had sparked speculations that this could lead to dissolving the Assembly and calling for snap polls, but the speaker denied the reports as baseless rumors. The grillings against the two ministers could end up in filing no-confidence motions, and that against the prime minister in a non-cooperation motion. The two ministers can be voted out of office directly, but the prime minister cannot be ousted by the Assembly directly because only HH the Amir can dismiss the premier.